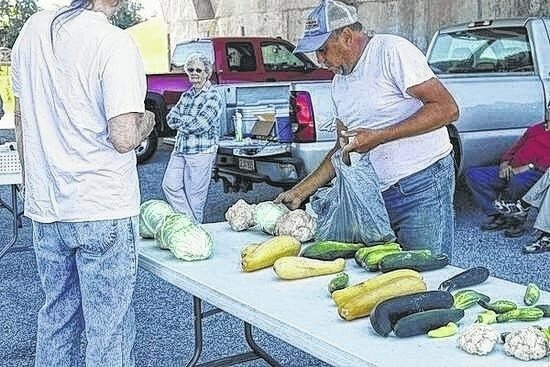 The Farmers Market has reopened for the season in Point Pleasant. Located on First Street beneath the Bartow Jones Bridge, hours are 8 a.m. to noon, Wednesdays and Saturdays. Right now, the market offers fresh, early crops such as cabbage, zucchini, squash, lettuce, green onions, etc. with tomatoes, corn and beans to arrive later this summer as they come into season. Pies and baked good are also available on Saturdays. Produce vouchers for senior citizens will be accepted after July 1. Qualifications for eligibility for the vouchers are: Identification and address verification required; must be 60-plus years old; must live in Mason County. Sign ups and receipt of the voucher packets through the Mason County Action Group will take place at the following times and locations: Tuesday, July 7 from noon to 3 p.m., Gene Salem Senior Center and Ashton Baptist Church. Wednesday, July 8 from noon to 3 p.m., Letart Community Center. Thursday, July 9 from 11 a.m. to 2 p.m., Mason Senior Center. Friday, July 10 from noon to 3 p.m., Southside Community Center. Friday, July 10 from 5-7 p.m. at Leon Town Hall. The voucher packet is valued at $24.